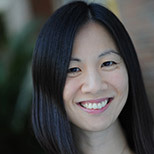 Roberta Kwok is a freelance science writer based near Seattle. She earned a B.Sc. in biology from Stanford University and a graduate certificate in science communication from the University of California, Santa Cruz. Her writing has appeared in Nature, NewYorker.com, New Scientist, Aeon and U.S. News & World Report.